Without a doubt, God still calls people today just as sure as He called Moses. In fact, He still calls them to do the same things that He called Moses to do. This service will hopefully help us to recognize that call and respond appropriately. We started our time together by singing “New Doxology” and “Never Seen the Righteous Forsaken” in an attempt to sing the type of songs that the Israelites would have been singing at this point in the narrative. We then had a prayer time over the Langleys. Adam will begin his full-time service as a military chaplain in the coming weeks. 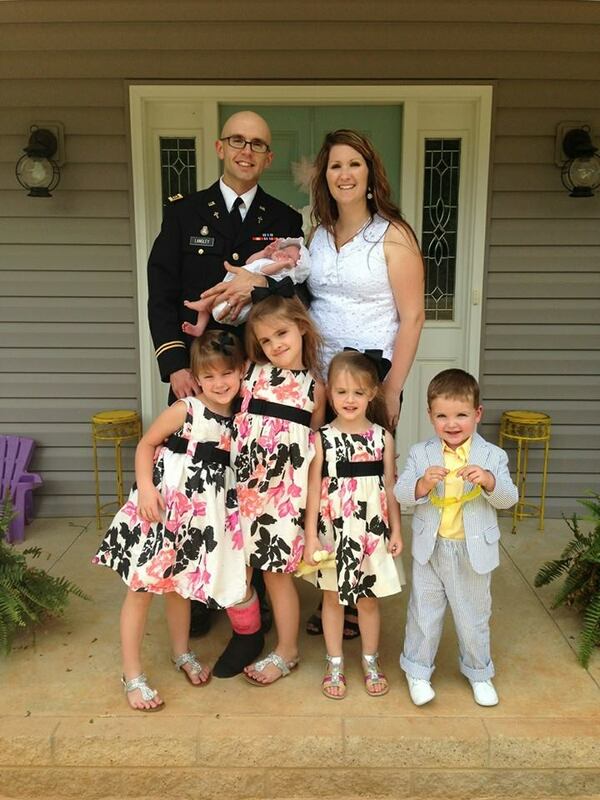 Adam, Anna, and their five children will be moving to Fort Jackson to serve the Lord and answer the call there. Please continue to pray for them in the weeks and months to come. While we took the offering, we sang “Holy.” I then introduced “Almighty” to the congregation by mentioning how I heard the song and interesting circumstances that surrounded it the other day as some Jehovah’s Witnesses came back to the house. I pleaded with our church not to let this moment pass without realizing that we were in the presence of the Great I AM. It was a beautiful time of worship. Someone did tell me that “Almighty” was their most favorite song I had ever written. I hated to admit that I didn’t write it, but it sure does say what my heart was screaming for this morning. For more information on that song, you can check it out here. He preached this passage differently than anyone I have ever heard before. While we often criticize Moses for his excuses in Exodus 3-4, honestly, his excuses were pretty valid. Finally, Moses, who liked to take matters in his own hands, realized that he was significantly overwhelmed by the majesty of God. He also mentioned the part about Zipporah circumcising their son on the road. The story seems so awkward and pointless until you realize that Moses has been disobedient concerning a simple instruction and God is going to punish him unless he does it. Even when God has called someone to do something great for him does not mean that he will allow him a free pass to sin. We concluded by singing “Take My Life” with a tag of “Wherever He Leads I’ll Go.” I loved the centrality of God’s Word today. Praying that we each heard God calling us and we are responding in obedience.